The return of Breaking Bad this summer drew headlines for its meteoric rise in the Nielsen ratings, transforming from a cult success to a breakout hit for AMC seemingly overnight. 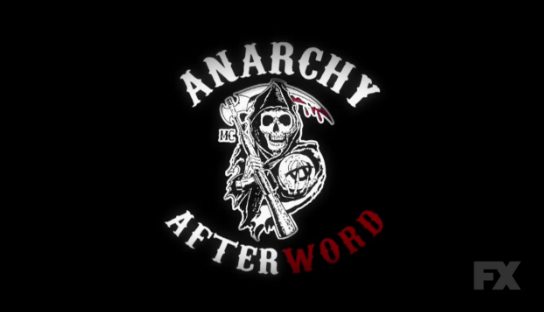 Many credited Netflix for this development, rightfully so, but I was struck that pieces like Andrew Wallenstein’s at Variety made no mention of Sons of Anarchy, which is arguably the first drama series to benefit significantly from Netflix in its continued—and trend-breaking for drama series—rise from season-to-season. The reasons it hasn’t been mentioned range from the statistical (its increases have been more gradual) to the contextual (it isn’t in its final season) to the typical: for better or worse, depending on who you ask, Sons of Anarchy has slipped under the radar when it comes to the prestige drama trend. With Justified and The Americans more beloved by critics in FX’s lineup, and shows like Breaking Bad or Mad Men seen as better representatives of the dark, masculine dramatic series trend, Sons of Anarchy has largely been left to grow its audience outside of conversations like Wallenstein’s that privilege those series deemed most important. Sutter and his bosses at FX have been expecting these audience increases: Sutter continues to hold a “contest” to hold a special fan screening of an episode late in the season if ratings go up over the previous year, which is more a way of rewarding fans for sticking with and promoting the show than an actual contingency (I expect he’d find a way to hold the event regardless of whether or not ratings had gone up, as it wouldn’t be the first time he’s privileged his relationship with fans over an arbitrary number). Still, one increase that perhaps works against the ongoing trend—gradual 10-15% increases per season—is the fact that ratings for the season six premiere among women 18-49 and women 18-34 were up 35% and 43% respectively. Variety’s AJ Marechal posed the possibility on Twitter that this could be chalked up to the casting of Sons star Charlie Hunnam in female-friendly franchise 50 Shades of Gray, but I’d argue that’s a web of causality we can’t possibly break down. That being said, the increase in female viewership does tie into discussions of the series’ streaming success, as well as its expansion in non-linear platforms with the online Anarchy Afterword series that debuted following the record-setting premiere. There have been suggestions floating around in comment sections that the Netflix model—the decision to release every episode all at once—eliminates the function of traditional episodic television criticism. With viewers now able to choose the pace at which they watch episodes, potentially watching an entire season of Arrested Development in one session if they’re so inclined, the need for critics to evaluate individual episodes is no longer present. 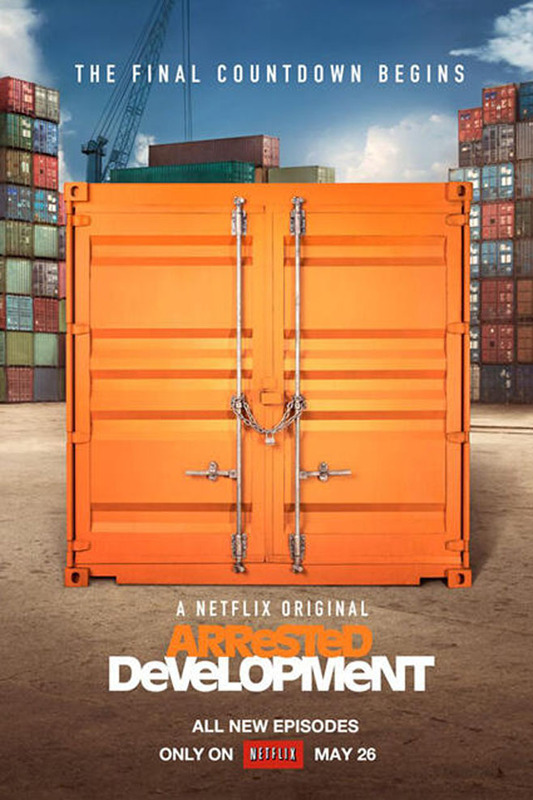 This is doubly the case, some would argue, with the puzzle-like structure of Arrested Development’s fourth season, which further confounds episodic analysis through its choice to emphasize each episode’s connection to a larger story arc one can’t truly appreciate until you’ve seen all fifteen episodes. We’ve been talking about the former ever since Netflix released all of House of Cards at once in February, and there has been further conversation in the buildup to Arrested Development’s this weekend (including the ridiculous theory that critics are biased against Netflix for destroying their cultural purpose, a claim I responded to here). However, I have to admit that I’m not sure Netflix’s paradigm shift is actually anything close to a paradigm shift. Putting aside the fact that Netflix’s claim we will in the future move to a completely mass-release system of television distribution—which I talked about in a CBC Web Chat last week—ignores a lot of functional realities of the television industry which have permeated even webseries distribution patterns, I still feel like episodic and other forms of television criticism are useful and productive within the space of binge viewing habits. Any suggestion to the contrary seems to be operating with a very limited conception of how and why episodic criticism is written, which functions in opposition to the ways in which binge viewing can allow us to expand—rather than contract—forms of television criticism in the wake of the binge viewing moment. Last week, TV Line’s Michael Ausiello reported that DirecTV and Netflix were in talks to pick up a third season of The Killing, and boy did the Internet take it seriously. 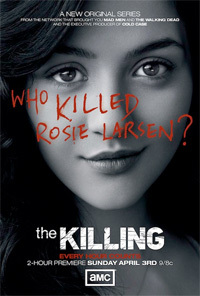 While Paskin and Greenwald both mount compelling takes on the implications of a scenario in which either of these outlets were to resurrect The Killing, I can’t help but feel that they suffer from the same flaw: believing that Ausiello’s report actually indicates Netflix or DirecTV have any serious intentions of picking up The Killing. It is possible to view these stories as a reflection of the expanding influence of streaming services and other emerging distribution models, with new options for shows that were already canceled (Arrested Development’s return on Netflix) or compromises that may allow a show to stay on the air longer (like DirecTV’s adoption of Friday Night Lights). However, while the existence of these networks and these precedents provide the conditions necessary for these stories to emerge, the stories instead reflect the increased agency and the increased activity of production studios within this new television economy: as opposed to fans seeking legitimation through news coverage, it is now studios working to gain visibility through their relationship with journalists. I will admit this is predicated on speculation, but it’s part of a larger trend this season in which vague reports of negotiations are seemingly floated to journalists who then report the news in an effort to draw in the theoretical fan audiences who could flock to the site to show their support for such a move. The fact that none of the show’s suggested for resurrection—Pan Am, Terra Nova, The River—have been picked up doesn’t mean that no negotiations ever existed, but it does indicate that whatever negotiations were reported on were perhaps less serious than reports may have indicated. “The Killing May Be Renewed For Season 3—Netflix and DirecTV in Talks” sounds really exciting until you realize that “talks” could amount to a brief phone conversation, and the show may be no closer to being picked up than it was when Fox was looking for theoretical suitors immediately after AMC canceled the series. I go into more detail on the larger implications of this trend within the piece, pushing us to consider the role of production studios more carefully, but I also wanted to expand on something I tweeted about last week, which is whether or not Netflix and DirecTV actually wants to be part of these stories, or whether their involvement is a case of wish fulfillment on the part of TV Studios. Hint: it’s the latter.